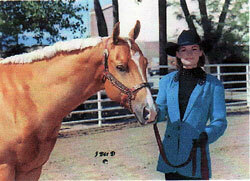 Accomplished Show Team 1996 to 2013. Thank you to all of you who have blessed my life over these years! 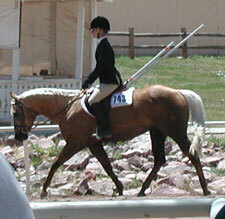 First class instruction for youth and amateur riders. 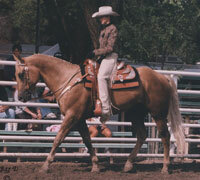 Extensive show team history. in their success at the Regional competition! Kelly and Alex both made the second cut in their class and Kelly won final round! 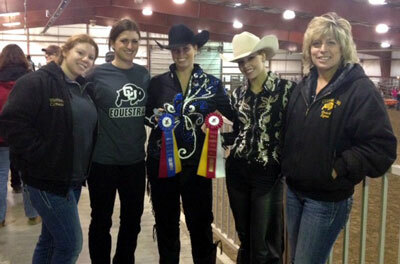 Brittany placed second in her class. Kelly and Brittany will compete in the semi-finals in New York, March 23rd and 24th. Reserve High Point team overall show 1 and show 2! Brittany Anderson, Kaitlynn Apple, Molly Rebscher. Congratulations to the Regional contenders: Brittany Anderson, Alexandra Weiner, Kelly Meyer. 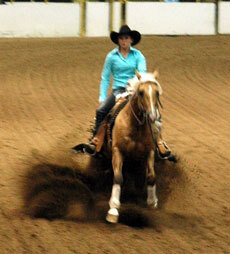 PHBA Top-Five: Hunt Seat Equitation, Ranch horse, Western Riding and Reining. Top-Ten: Road Hack, Barrel Racing and Trail. 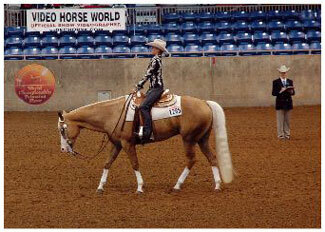 World Finalist: Hunter Under Saddle and Western Horsemanship. 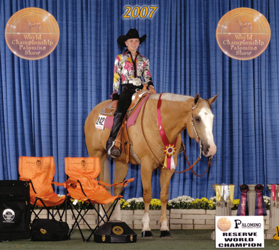 2007 PHBA Honor Roll: 4th in the Nation Hunter Hack; 5th in the Nation Youth Western Riding 18 & Up; 6th in the Nation Youth Ranch Horse 18 & Up; 10th in the Nation Youth Reining 18 & under. 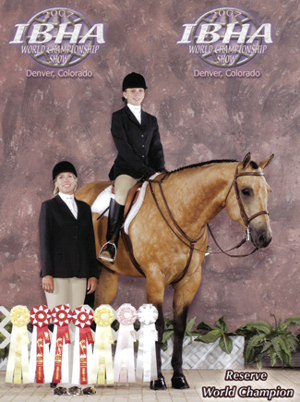 CPEA 2007 Year-End Reserve Champion All-Around Youth 13 & Under. 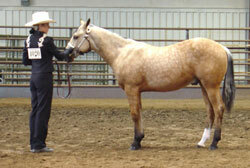 2007 Honor Roll PHBA 10th in the Nation in Western Horsemanship. 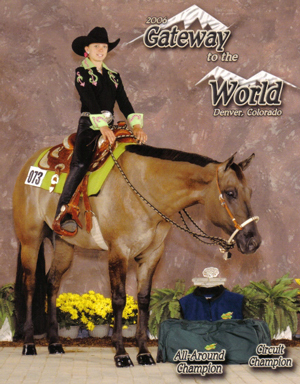 Gateway to the World Reserve Circuit Champion 18 and Under: English and Western Discipline Rail. 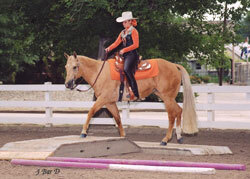 Halter Geldings, Hunt Seat Discipline Rail, Hunt Seat Equitation, Hunter Under Saddle, Western Pleasure, Western Discipline Rail. 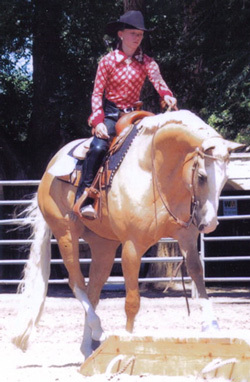 2002 Ashley Emerson and Buyers Reward. 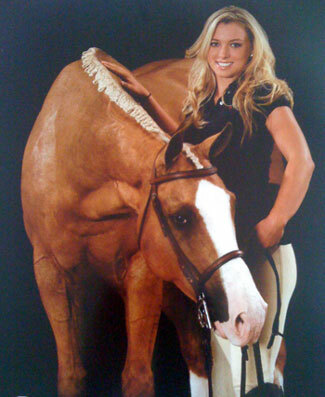 CPEA Year-end Reserve Champion All -Around Youth 14-18yrs. 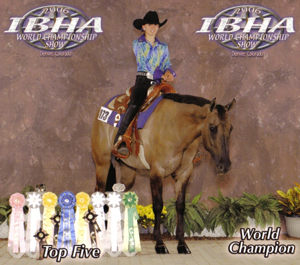 CPEA: Year-end 3rd place All Age Youth All-Around Champion. 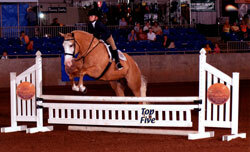 CPEA: Year-end Class Champion: *Youth Geldings. 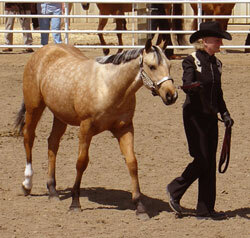 CPEA: Year-end Class Reserve Champion: *Youth 14-18 Western Horsemanship *Youth 14-18 Western Pleasure. PHBA earned 59 national points. CPEA Rookie of the Year Award. 5th place All Around Champion Youth. 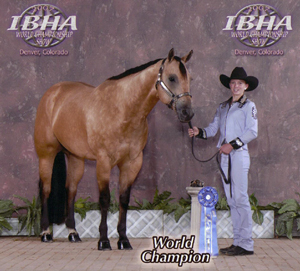 MHBHA Year-end Class Champion: *Youth Western Discipline Rail. 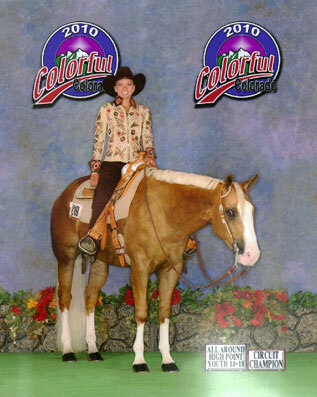 Colorful Colorado Circuit Reserve High Point Champion Youth All-Around. 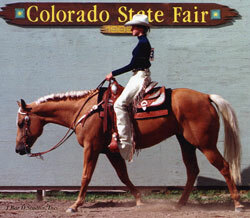 Colorado State Fair Reserve High Point All-Around Youth. PHBA earned 173 Youth National pts. 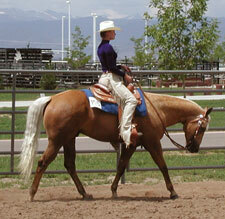 PHBA Register Of Merit Awards: *Youth Hunter Under Saddle *Youth Western Horsemanship *Youth Western Pleasure. 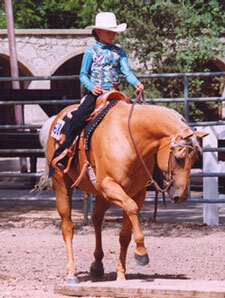 CPEA: Year-end Class Champion: *13 & under Horsemanship *13 & under Western Pleasure. 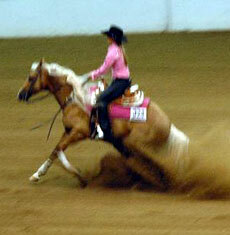 *Youth Mares at Halter *Youth Color *Youth Trail. 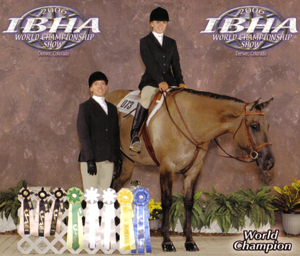 MHBHA Year-end Champion Youth All-Around. 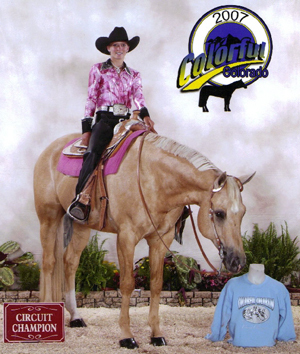 Colorful Colorado Circuit Champion All-Around Buckle. 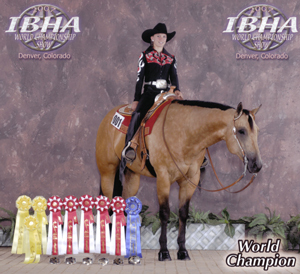 MHBHA Year-end Class Champion: *Youth Mares *Youth Hunt Seat Pleasure *Youth Hunt Seat Equitation *Youth Western Pleasure * *Youth Western Horsemanship *Youth Western Discipline Rail. 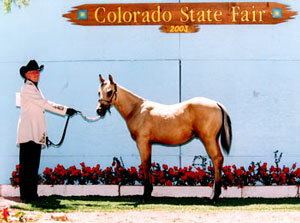 MHBHA Year-end Class Reserve Champion: *Youth Trail *Aged Mares at Halter. 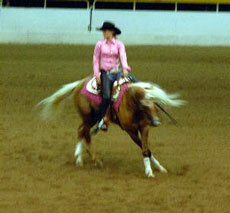 1999 World Show Top 10 Finalist. PHBA Youth Champion: 240 points earned. 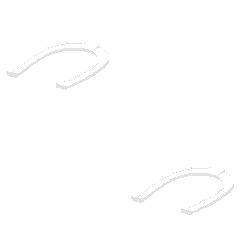 PHBA Register Of Merit: *Halter *Youth Color *Youth Showmanship *Youth Hunt Seat Equitation *Youth Hunter Under Saddle * Youth Western Pleasure *Youth Trail. 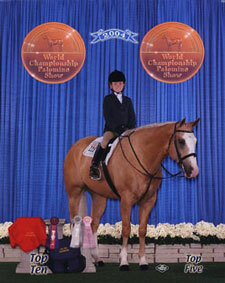 CPEA Year-end Champion All-Around 13 and Under. 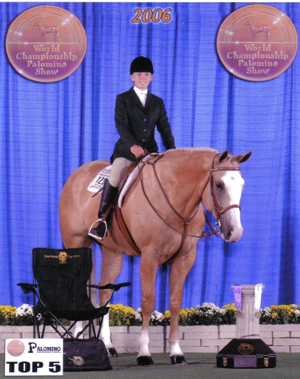 CPEA Year-end Champion All-Around All Age. 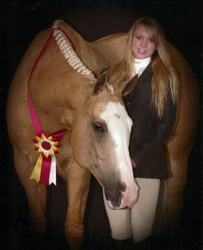 CPEA Year-end Class Cahmpion: *Youth Hunter Under Saddle All Age *Youth Showmanship *Youth Hunt Equitation *Youth Trail All Age. 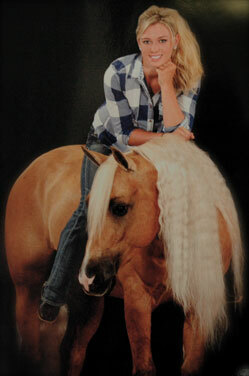 CPEA Year-end Class Reserve Champion: *Youth Western Plasure. 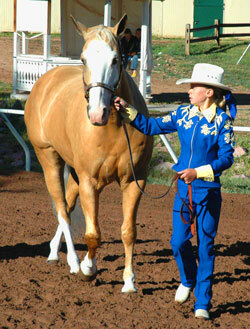 PHBA: 102 National Youth Performance/Halter points. 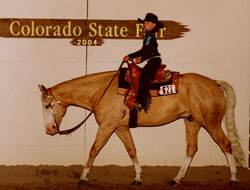 CPEA: Year-end Reserve Champion All-Around 14-18 youth. 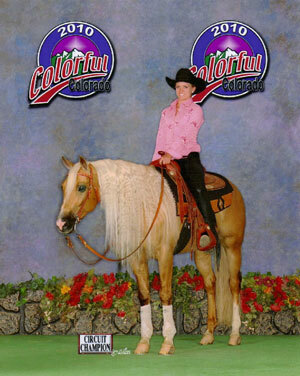 Year-end All Age Reserve Champion Youth Color. 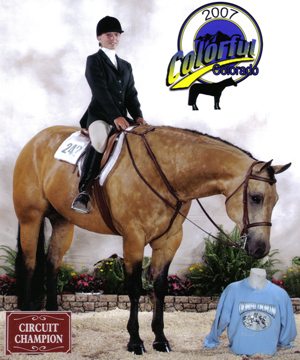 CPEA: Year-end Class Champion: *14-18 Showmanship *14-18 Hunter Under Saddle *14-18 Hunt Seat Equitation *14-18 Western Pleasure *14-18 Western Horsemanship. 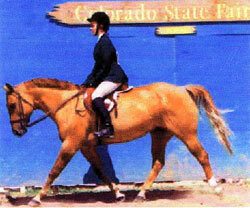 CPEA Year-end Open Division Champion: *Junior Horse English Performance. 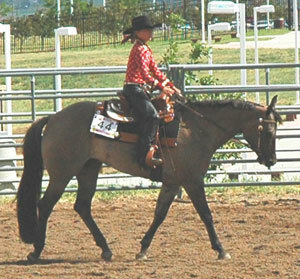 CPEA Year-end Class Champion: *13 and Under Hunter Under Saddle. 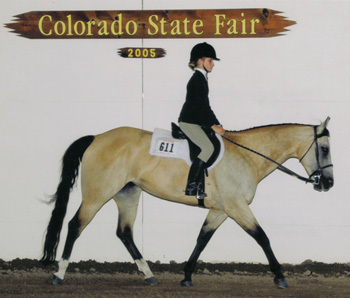 CPEA Year-end Reserve Champion: *Youth Showmanship *Youth Geldings. 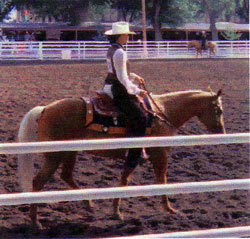 1998 MHBHA Year-end Reserve Class Champion: *Youth Hunt Seat Pleasure *Youth Western Horsemanship *Youth Western Discipline Rail. 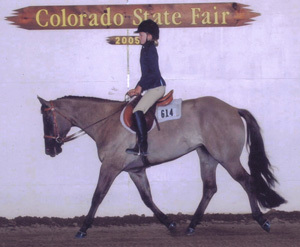 PHBA 107 National Youth Halter/Performance pts. 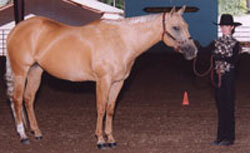 PHBA Register Of Merit: *Halter *Hunter Under Saddle. 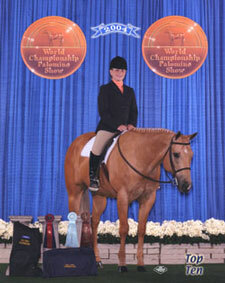 CPEA Year-end Class Champion: *Youth Geldings *13 and under Hunter Under Saddle. 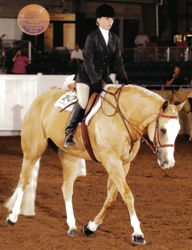 CPEA Year-end Reserve Class Champion: *Hunt Seat Equitation 13 and under *Youth Western Pleasure All Age *Horsemanship 13 and under *Youth Reining All Age. 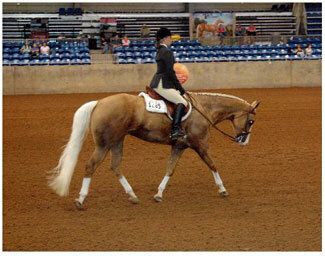 PHBA National Youth Performance/Halter points. 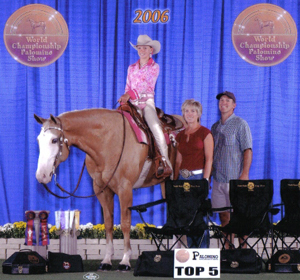 CPEA Year-end Class Champion:*Youth Mares *Youth Western Pleasure 13 and under. 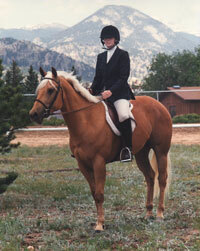 CPEA Year-end Reserve Class Champion: *Youth Hunter Under Saddle 13 and under. 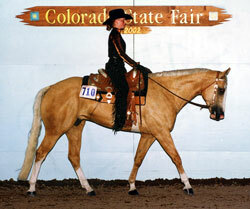 CPEA Year-end Class Champion: *Youth Trail All Age. PHBA 72 National Youth Performance/Halter points. PHBA Register Of Merit: *Youth Color. CPEA Year-end High Point All-Around Youth All Age. 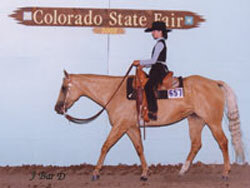 CPEA Class Year-end Champion: *Youth Color *Youth Hunter Under Saddle *Youth Western Pleasure.